Linoleic acid: Once in the body, Linoleic acid is converted to gamma-linolenic acid(GLA) in the body and then further broken down to Arachidonic Acid (AA). 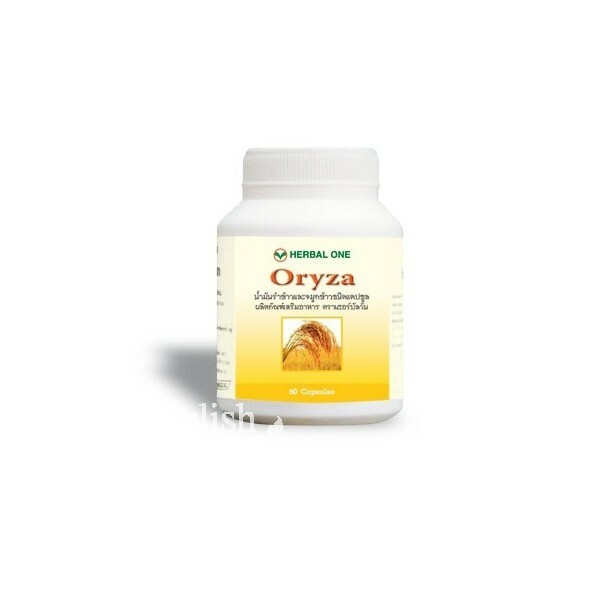 Arachidonic acid (AA) helps repairing brain cells altogether with Omega-3 fatty acids. GLA is alsoconverted to Prostaglandin which reduces risk of coronary thrombosis, reduces bloodpressure, and maintains balance of body ﬂuids. Oleic acid: Oleic acid is a non-essential fatty acids, meaning the body can synthesizethe compound itself. However, if taken at the right amount as supplement, the risk ofcoronary disease and cholesterol build up is greatly reduced. Vitamin E: n antioxidant, vitamin E acts as a peroxyl radical scavenger, preventing the propagation of free radicals in tissues, by reacting with them to form a tocopherylradical which will then be oxidized by a hydrogen donor (such as Vitamin C) and thus return to its reduced state. น้ำมันรำข้าวจมูกข้าว 500 mg. มีสาร Gamma Oryzanol 8 mg. linoleic acid 220 mg. และ oleic acid 152 mg. Manufactured by Ouay Un Osoth Co., Ltd.